Home » Blog » When is a cake not a cake? No VAT is charged on plain biscuits or cakes. But when a biscuit is covered in chocolate it becomes a luxury and standard rate VAT at 20% is added to the price. Mcvities, famous for their Jaffa Cakes, added chocolate to the cake and tangy orange base, so classifying them as cakes, not biscuits. 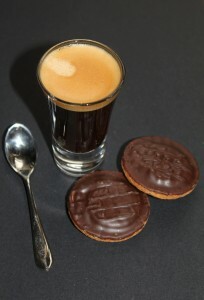 Although the taxman challenged this, claiming chocolate biscuit status, the court ruled in favour of McVities and we don’t have to pay VAT on our Jaffa Cakes. Your company should register for VAT if the value of your taxable supplies in the past 12 months or less has exceeded the current VAT registration threshold, or the value of your taxable supplies in the next 30 days alone is expected to exceed this threshold. Even if your business turnover lies below the current VAT threshold, you can still register for VAT, since there may be business benefits in doing so. It is worth checking this with your accountant or directly with HMRC. Basically, a business will pay VAT on all purchases it makes (input tax) and then charge VAT on all sales it makes (output tax). If a VAT-registered business receives more output than input tax in a VAT period, it will pay the difference to HMRC, otherwise the HMRC will refund the difference if the business pays more VAT than it receives. You will need to register for VAT with HMRC. You can submit a paper application form or you can apply online but HMRC do encourage businesses to register online. The information you need to provide depends on whether you are running your business as a sole trader, partnership or limited company. To ensure that you can reclaim the VAT you have paid, you should check the supplier’s VAT registration number. To submit your VAT returns online, you will need to sign up for VAT online services. If you aren’t already using HMRC online services you will need to get a User ID and password, which is sent out by post, to use the service. There you go we, have just made VAT a piece of cake!